The Sure-Set started life through an idea I had to help a recurring swing fault. The first one I made was fashioned from wood and bound together using materials from my local DIY store! After building a few and seeing amazing results, I soon had people asking if they could have one. I designed it to help establish a better understanding of the golf swing and improve the desired swing consistency. Dan’s goal is to install player responsibility, leading to autonomy and true mastery. Dan Frost is one of the world’s leading golf coaches. He has designed a unique coaching philosophy that has evolved from a lifetime of researching elite-level performance. As an expert in many fields from kinematics to kinetics, ball flight data and human behaviour, Dan is in a unique position to help players succeed. Encouraging players to achieve ‘gold standard’ in every area of the game, by constantly working in what he calls ‘the four pillars of performance’ – how we think, feel, act and move. A unique coaching philosophy that has evolved from a lifetime of researching elite-level performance. 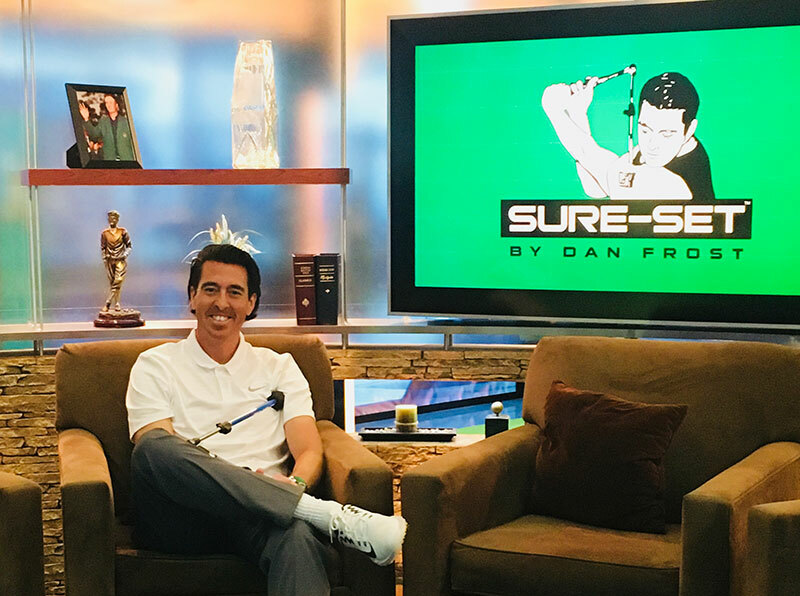 Jack has been coached by Sure-Set inventor Dan Frost for the past four years and has worked extensively with the Sure-Set in this time. 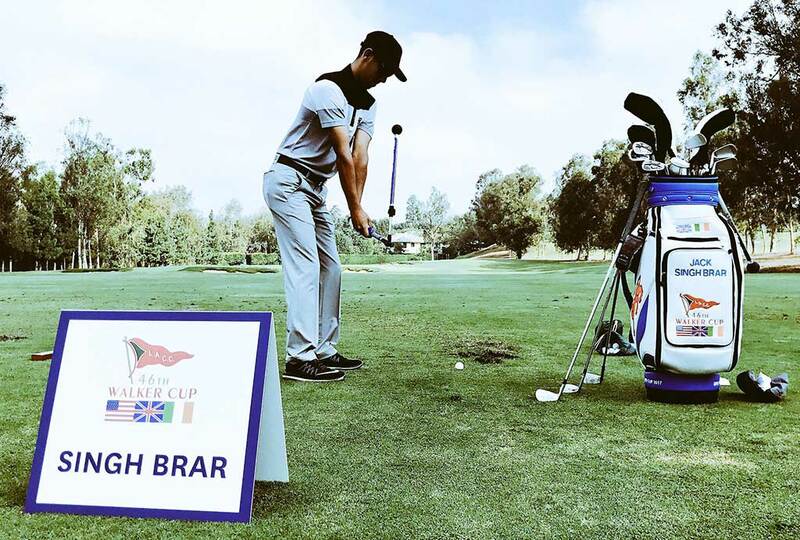 A former England amateur superstar and top points scorer for the GB&I Walker Cup team, he gained his European Tour card for 2019 at the climax of an exceptional debut professional season with 2 wins and 8 top fifteen finishes! Jack has been coached by Sure-Set inventor Dan Frost for the past four years. Look out for him working with the Sure-Set on the range next year. Sure-Set will increase your range of movement, teaching you how to create move leverage and improve your timing, leading to more speed and solid shots. By creating the ideal amount of wrist hinge, forearm rotation and shoulder turn the Sure-Set will allow you to experience the perfect mixture of these three key ingredients, putting you on plane with each club. The Sure-Set will improve the sequence of the take-away, match up the body, arms and club in the backswing and ensure the transition of the swing starts from the ground. The Sure-Set will centre your pivot, encourage a better path of swing and attack angle, improving your low point, leading to ball-then-turf contact. 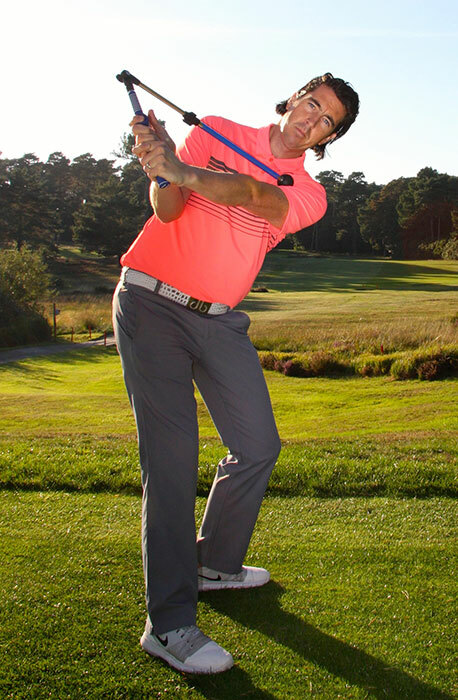 The Sure-Set will reduce independent wrist roll and allow you to control the club face in a simple effective way. The Sure-Set can be used in any environment. Just five minutes a day in the office, home or at the course will allow you to get the repetitions in which, in time, will lead to a more consistent swing. The Sure-Set will set you on the right plane with every club in your bag. As long as you set up in the stance of the club you are working with (more tilted with shorter irons and more upright with driver) it will install the ideal amount of wrist, forearm and shoulder turn to set the swing plane with wedge through to driver. Setting 1 on your hinge option also allows you to feel less wrist set for those shots that require deadly accuracy or lower trajectory. The Sure-Set allows you to feel not think. Learning through feeling will take away confusion and install a clear understanding of how the swing should feel. The Sure-Set has only four easy steps which simplifies how we practice and think about our swing. The Sure-Set focuses on input (swing) rather than output (ball flight). By doing so it allows your practice to be more controlled rather than reacting to strike and flight. The Sure-Set installs a very efficient movement encouraging the ideal amount of wrist, forearm and shoulder turn from address to transition. Like a child learning to ride a bike using training wheels, the site will become your equivalent for the golf swing. Once you have learned your most effective move it will act as a constant reminder. Changing your swing requires a new neural pathway in the brain. The Sure-Set will create a new pathway that through high repetition will become your new habit (swing) allowing your to perform with great automaticity when you play. Think of this change as not water to ice but more like boiling an egg. Once it’s boiled it’s changed forever. Interacting more often and simplifying your swing will make you feel more familiar with your own swing, reducing anxiety and adding confidence for your weekend game. With busy lives many people can’t find time to get to the range. The Sure-Set can be used any place, any time. The flexibility allows you to get more access to improvement. Think of the Sure-Set bringing the practice range to you!